Who doesn't love a little white-on-white action in their wardrobe? I'm really trying to make this whole "spring" thing happen in New York. I just recently bought a new pair of white jeans so I'm ready for warm weather! These bad boys are from Gap and I lurrrrveeee them. As you know by now, I'm all about the stretchy skinny jeans and these are a new fave! I'm also pretty pumped that the Barbour jackets are back. That's when you know it's really spring. This olive one was my very first Barbour and of course I still love it to this day. I also love it when paired with white jeans. Add a hint of cognac and we're good to go! 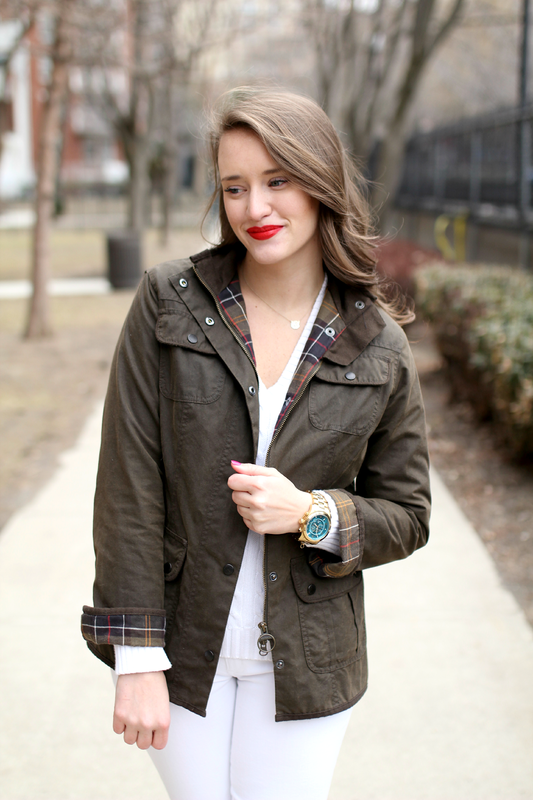 I love that Barbour jacket! Adorable! This is such a pretty look. I love how the white is like a blank canvas to let all your accessories pop!! I thought we had spring in NC, but looking at the forecast it looks like winter hasnt quite given up yet. Ugh! Love this look! White on white is so pretty! Just found your blog and am in love! 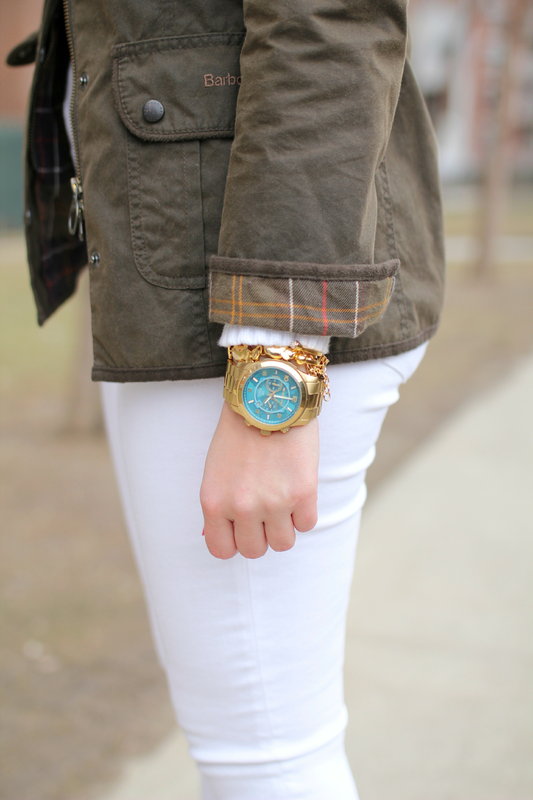 I love the all white with the Barbour! So classic! Wow! Thanks for sharing this fashionable post your outfit is amazing looking gorgeous. I like to buy celebrity leather jackets.